Designed to absorb shock and protect from bruises or other common impact injuries. Is the Defender Knee Pads Right for me? Protect knees from bruises, abrasions, friction burns or other common impact injuries with the DonJoy Performance Defender Knee Pads. Lightweight and comfortable, these protective knee sleeves are engineered to absorb maximum shock, deliver compression, and protect athlete's knees. Sold in pairs. 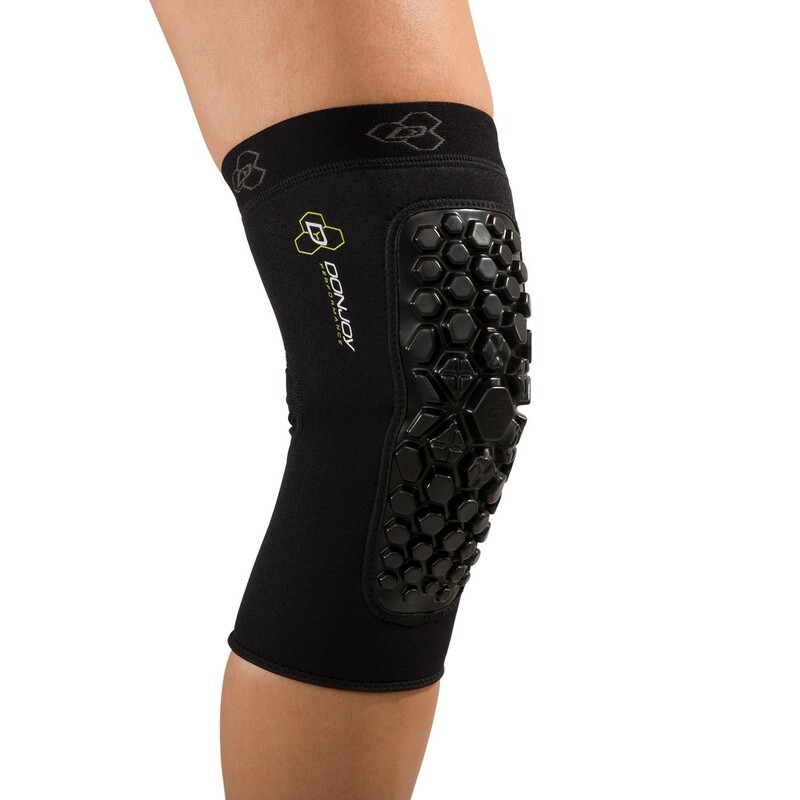 Designed with a hex-contouring pad design and XRD technology, this protective knee sleeve is engineered to absorb maximum shock and protect athletes from bruises, abrasions, burns or other common impact injuries. Shop our complete selection of knee braces or browse additional Defender Pads products. I have arthritis in my knees and I am up and down on concrete floors with my job stocking shelves. Gives me support and keeps from bruising my knees. Best investment ever. I use these for basketball cause my compression tights kept tearing and knees were taking a beating. They offer great impact protection, but they do slide down occasionally so you have to readjust fairly frequently.